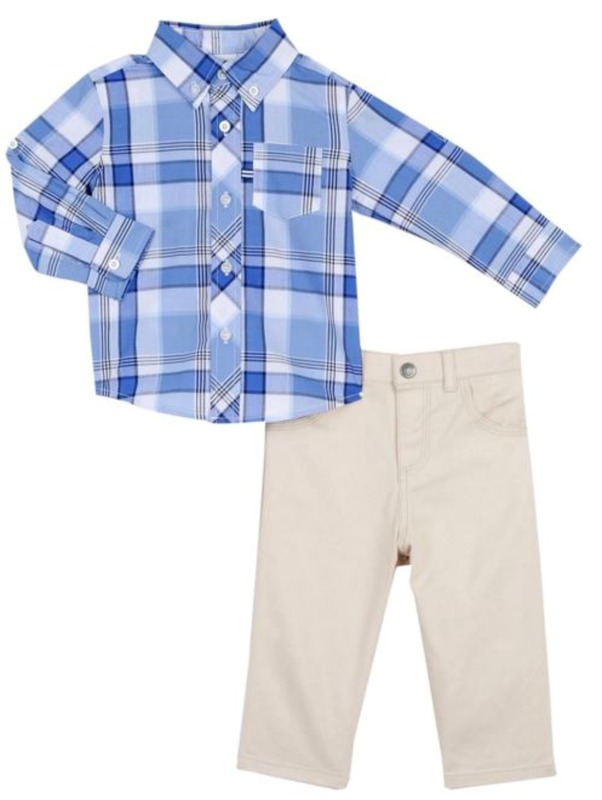 Handsome baby boys navy plaid button down shirt and khaki twill pants by Little Me. Gentle elastic waist pants and button down long sleeved infant boys set, in cotton. Machine wash.